Apple customers will receive a special achievement as well as a unique sticker in the Messages app if they complete at least a 30-minute workout. If you are one of those having trouble motivating yourself to get outside and workout in this Indian summer, here is something that could get you up and running. 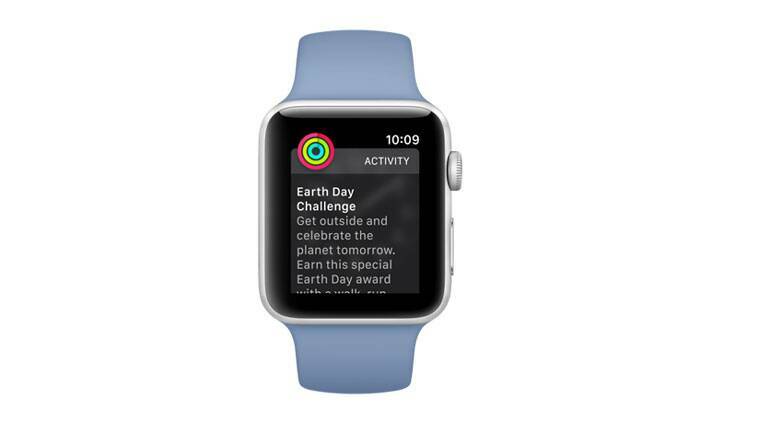 Apple has launched a notification for customers as part of the Earth Day Challenge on April 22. On April 21, Apple Watch customers across the globe will receive a notification about the Earth Day Challenge, encouraging them to get outside and enjoy the planet. Apple customers will receive a special achievement as well as a unique sticker in the Messages app if they complete at least a 30-minute workout. In addition to the notification on April 21, Apple Watch users will see the unearned achievement in the Activity app on iPhone. However, in case the achievement is not earned by April 23, it will disappear. Apple had earlier promoted an activity challenge around New Year’s Day. Earth Day Network’s mission is to diversify, educate and activate the environmental movement worldwide. Growing out of the first Earth Day, Earth Day Network is the world’s largest recruiter to the environmental movement, working with more than 50,000 partners in nearly 195 countries to build environmental democracy. More than 1 billion people now participate in Earth Day activities each year, making it the largest civic observance in the world. We work through a combination of education, public policy, and consumer campaigns. The first Earth Day was marked on April 22, 1970 in the US, and in many ways kickstarted the modern environmental movement. It led to the passage of the Clean Air Act, Clean Water Act, Endangered Species Act and many other groundbreaking environmental laws in the US. However, it took two decades for Earth Day to go global when it was observed in over 141 countries.